The most shows I watched in 2018 came from the streaming services although,it sure seems as if Netflix has been going on a canceling binge of their own. Several of this list has been cancelled by Netflix so next year’s list could look considerably different. #13. Lost in Space (Netflix). I know some did not like this. I saw EW name this the worst show of the year. I can’t believe that since I enjoyed the show. I liked the different take on the classic show. Not sure I liked the ending.but on the whole, I liked this. #12. Orange is the New Black (Netflix). There was just something about this season of episodes that did not catch my attention. I have not seen the ending of the series yet and I am not sure when I am going to do so. I know it was announced that the next season will be Orange’s finals one so maybe I need to go back and finish the season. #11. Iron Fist (Netflix). Iron Fist season 2 was considerably better than season one. Unlike most people, I did not hate season one, but there is no denying that it is not as high of quality as the other Netflix Marvel shows. #10. A Series of Unfortunate Events (Netflix). I enjoyed season two more than season one. Nathan Fillion made a guest appearance and brought the goods. Unfortunately, he did not survive the season. Season three of this series is also the last one so we should see a conclusion to the story of the Baudelaire orphans. #9. Luke Cage. This was a really great series, but I was not sure I liked the way the series ended. Plus, now that Netflix cancelled this one, that is the end that Luke Cage will have to end with. Mixed feelings on that for sure. #8. Castle Rock (Hulu). The first non-Netflix show on the list, the Stephen King mash up int he city of Castle Rock was a really strong show. Admittedly, it slowed a bit for my tastes in the middle, but it did not take away from the series. #7. Santa Clarita Diet (Netflix). This is such a funny show. Nathan Fillion is here too (or was) as a severed head that is still “living.” The show takes steps that few comedies do and it pays off in spades. I love the pairing of Drew Barrymore and Timothy Olyphant. #6. Cobra Kai (YouTube Red). One of the biggest surprises of the year. This series that continues the story of the Karate Kid via the enemy karate dojo should never have worked but it was so good. It had no right to be this awesome. #5. Jessica Jones (Netflix). Some did not like season two of Jessica Jones, but I thought it was some of the best work we got. The character of Jessica Jones is really delved into and we learn and meet her mother. The arrival of Jessica’s believe to be dead mother really kicked the series into overdrive. Plus, we got the continued push toward Hellcat in the MCU. #4. Glow (Netflix). I binged Glow season two in a night. These 10 episode, half hour comedies on Netflix are such an easy binge that they should do more of them. Glow was amazing this season as we continued with the Gorgeous Ladies of Wrestling struggling to become a success. The episode that was basically the wrestling storyline episode “The Good Twin” was off the charts. #3. The Tick (Amazon Prime). The second half of season one came to Amazon and brought with it so much Tick goodness that it reminded me how much I loved that character and the world in which he inhabits. Peter Serafinowicz has won me over as the big blue bug of justice. #2. Daredevil (Netflix) Season three of Daredevil was fantastic and so when it was announced that Netflix had cancelled it, it was a shock to say the least. This season brought back the Kingpin of Crime to the front burner and included the arrival of Bullseye. Again, the villains of this series continue to be the best of the Marvel TV Universe. Hopefully we will be able to see some of these characters again somewhere inside the MCU. #1. American Vandal (Netflix) Another cancelled series, American Vandal was absolutely hilarious and I loved it completely. American Vandal was another one night binge and I really appreciated that. 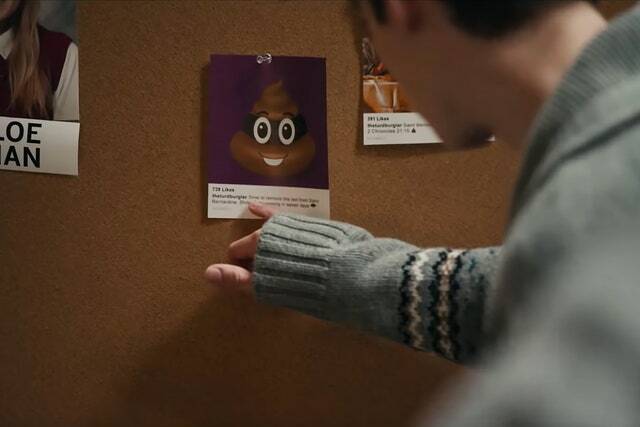 This season tried to uncover the identity of the Turd Burglar. The mystery this season is better than season one’s mystery (although I think season one was funnier overall). There are some characters in this season that are just transcendent. I am sad that we will not get another season from this consistently funny show. Hopefully someone will pick up the show for a season three.